The Benjamin Blessing for 2016 • Run Hard. Rest Well. Final words and blessings are meant to propel us into the future anchored to a truth that is meant to transform. Such is the case in Deuteronomy 33, as the Israelites are positioned to cross into the Promised Land and Moses is in his final days of life. Moses speaks his final blessing first to Reuben, then Levi. Benjamin is third in the lineup. As I peer into 2016, I find my heart longing to be anchored and propelled by the Benjamin Blessing. Here are our Lord’s words for me, and for you, as we stand on the threshold of a New Year. 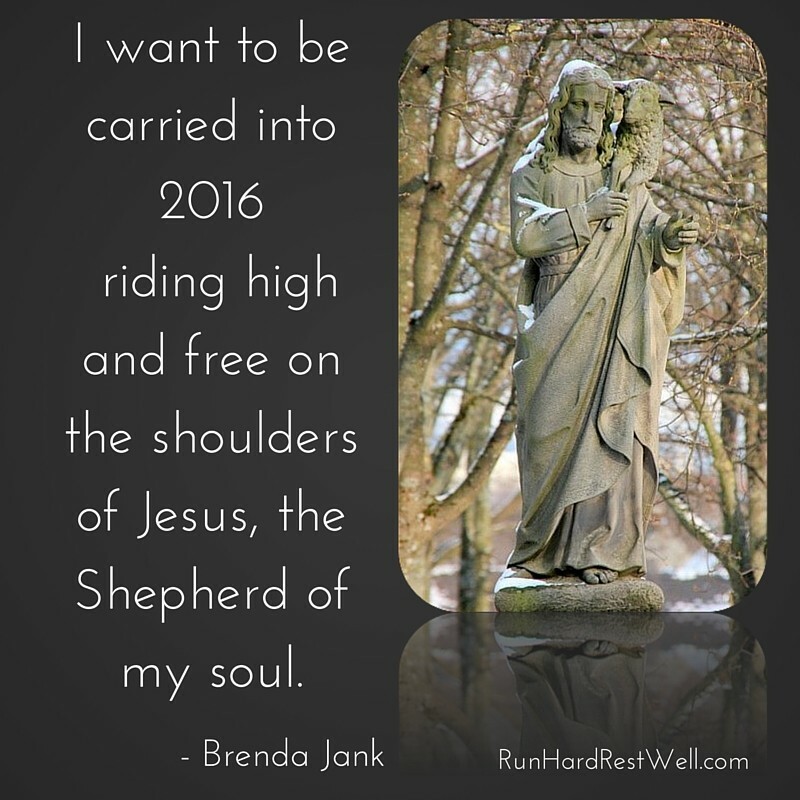 I want to be carried into 2016 riding high and free on the shoulders of Jesus, the Shepherd of my soul. Three questions remain. They are worth an intentional pause. Will I surrender my self-sufficiency? My self-guidance? And am I up for the ride of my life? Jesus has more to say, but its best shared as a private encounter. Praying you can carve out a quiet hour in the next few days. Jesus’ strong arms are ready to lift us up and position us – right where we belong. Amen. I’m looking forward to some solitude tonight. May my heart rest. Thank you for the encouraging and calming words! High and lifted up — may we enter this New Year from a vantage point of seeing our life, our purpose, our joy from His perspective! We are safe and secure. Amen! As I come to my Abba, I bring to Him the burdens I carry. Precious cargo that has been entrusted into my life is discussed. I see His heart and know He cries for these. Abba, Daddy, God, Who stands watch over the starry sky, the waters and waves, knows. He says ” go this far, but no further”. My burdens are small, but important to Him. He cares more then I do. When I walk away….oh, how I hate to come down off the mountain….I am freed of the burdens I carried. I am free to take up other burdens, other cares, other things strewn along the path. Then they too will be brought to my Father. The path will become smoothe for those who follow, I will find rest and pleasure, and my Daddy will smile.